Explore the 17 Balboa Park museums in beautiful San Diego Balboa Park, the center of cultural attractions in San Diego, CA. Imagine going to a museum and seeing just what you like. Science... art ... model railroads? That's the beauty of the museums in Balboa Park. So many to choose from. You get to choose what interests you. And you may even get to go for free. If you are locals or active military, check out the calendar below for free museums for Balboa Park Museums Free Tuesdays. For other free or fun San Diego California activities, check out Upcoming San Diego Events. 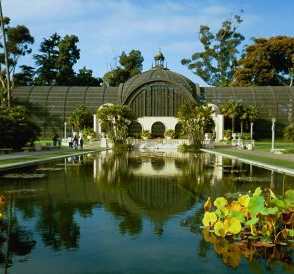 Which is the best San Diego museum in Balboa Park? It depends on what you enjoy. 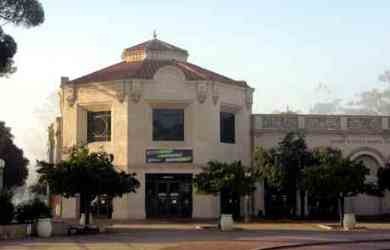 My favorite is the Reuben H. Fleet Science Center, with its interesting interactive exhibits and IMAX movies. Can't decide which one? Visit more than one. The park offers several special deals on tickets prices, and there are many coupons and discounts available. Stay for the Day pass – visit your choice of 5 of 14 museums in one day for $48 ($29 for child ticket age 3 - 12). San Diego Zoo is not included. Available for purchase at the Balboa Parks Visitors Center, or online. Balboa Park Multi-Day Explorer Passport - offers one admission to each of the 17 museums or attractions, good for seven consecutive days. Pricing is $59 for adults, $32 for children. Or if you would also like to visit the San Diego Zoo, which is located in Balboa Park, and the museums, a Zoo-Passport combo ticket costs $103 for adults and $68 for child ticket ages 3 – 12. 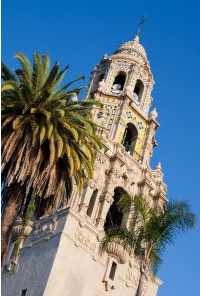 Other Discount Tickets and Coupons - There are many Discount Tickets and Coupons for individual museums or attractions for San Diego museums in Balboa Park. Here is the free Tuesdays museum schedule for Balboa Park museums. Be sure to bring your ID to get in free. Some museums do not allow strollers inside on resident free Tuesday for safety reasons, so call to check before you go if you plan to bring a stroller. Note: if the Tuesday is a holiday, check first to see if the free Tuesday rules apply. Free to San Diego City & County residents, Active Military & their families. The Timken Museum of Art is always free, making it one of the popular Balboa Park museums. February is San Diego Museum Month, and it is back again for 2019 in San Diego (to be confirmed). 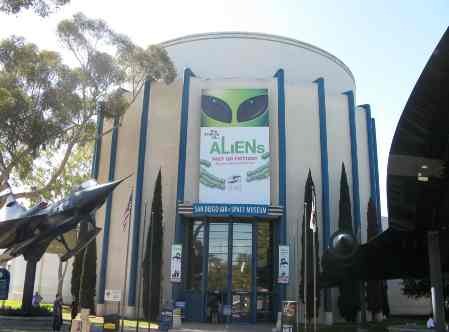 What a great time to visit some San Diego museums. Approximately 40 local museums, monuments, historical sites and gardens offer half-price admission. Pick up a FREE Museum Month Discount Pass at a local Macy's store starting February 1 2019, good for half-price admissions for up to four people to participating local museums, including some of my favorites: Reuben H. Fleet Science Center, USS Midway, and San Diego Botanic Garden (formerly Quail Botanical Gardens). Birch Aquarium at Scripps - one of our favorites! Reuben H. Fleet Science Center - We love it! It's the best! San Diego Botanic Gardens - Beautiful garden in Encinitas. USS Midway Museum - a San Diego tradition.